The Premium Digital 8 is the economical full mattress replacement system for the high risk user. Ideal for the heavier patient, the system provides an increased cell depth to prevent bottoming out and enhance therapeutic benefits and comfort. 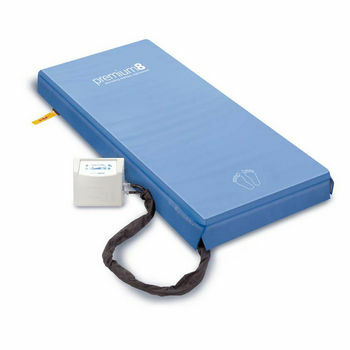 Used in conjunction with an effective pressure injury preventable strategy including diet, exercise and care management, the Premium Digital 8 is a highly effective pressure ulcer protective mattress solution. Infection control and prevention is the key focus of the Premium Digital 8 complete with heat sealed seams, antibacterial taping and waterfall skirts.